Fancy an iPhone, but put off but its rather titchy (when compared with its rivals) four inch screen? Well the evidence is mounting that the next generation of iPhone is very likely to have a much bigger screen. The latest person to claim that an Apple Phablet is on the cards is Jefferies & Co. analyst Peter Misek. Now Misek has been quite a good source of Apple info in recent times so it is worth taking what he says seriously. He goes on to add that he thinks that the large screen will spark a significant upgrade as Apple owners surge to buy the bigger model. 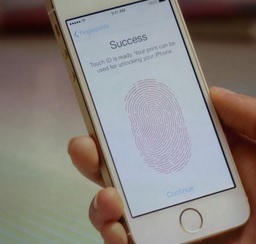 He also thinks that the brand has just about enough to keep consumers onside with the iPhone 5s and 5c too. Misek isn’t the first to claim that Apple is working on a bigger screen iPhone. The WSJ has also run a story about it and quite frankly it would be surprising if the next iPhone didn’t have a bigger screen considering the way most of Apple’s rival have moved. As phones get inevitably get larger and larger into the phablet territory, consumers are increasingly reluctant in using phone cases. These 5 inch phones are already a handful naked and people with small hands can hardly hold them with one hand when they are fitted into a case. We will eventually see skin products prevail…!